The Super Bowl is this Sunday. I'm not really into the actual game. I am much more interested in the commercials and the food! 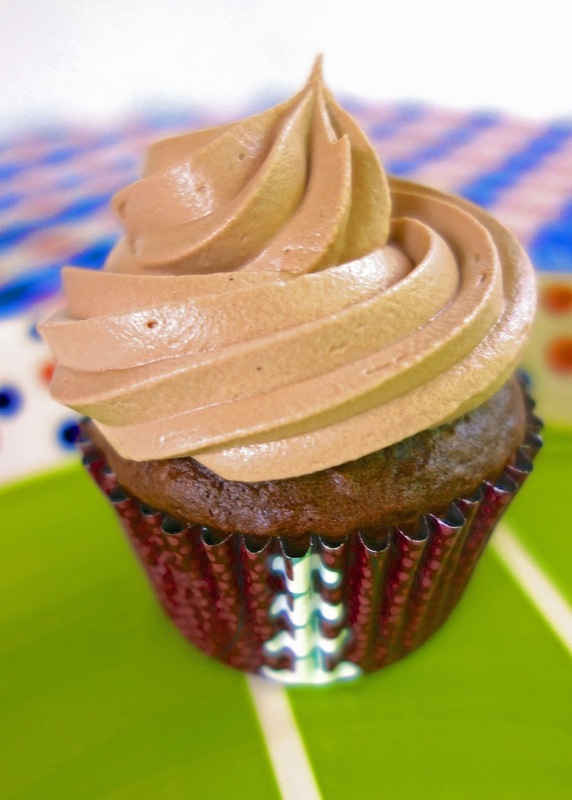 This year I am whipping up a batch of these Chocolate Almond Cupcakes. They are super easy to make and they taste great! I especially love the frosting. It starts with a can of store-bought frosting. I am not normally a fan of canned frosting, but I folded in some Cool Whip and WOW! Light and tasty frosting. You can't beat a 2 ingredient frosting! I doctored up the cupcakes with some chopped almonds, chocolate chips and almond extract. They tasted great and everyone that tried them really enjoyed them. I found the cute football cupcake liners at Walmart. They are foil so they don't fade when they bake. Love that! 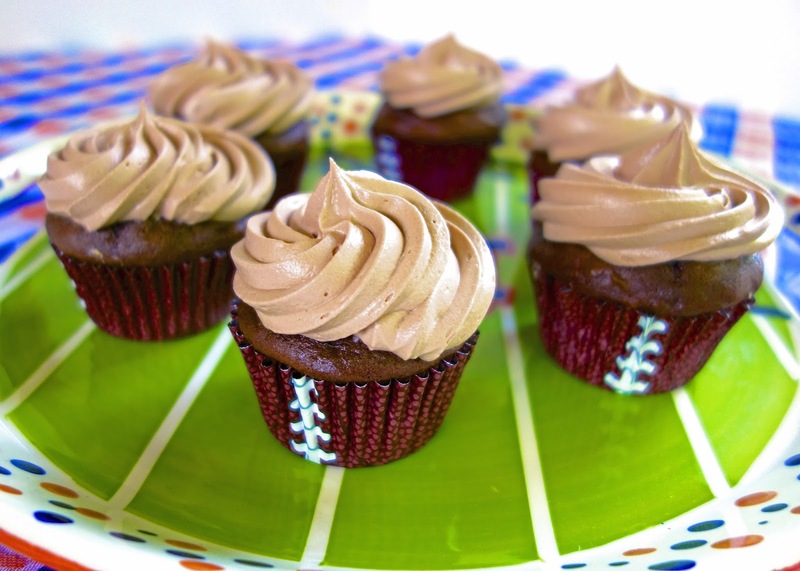 For more Super Bowl Recipes, check out our Super Bowl Pinterest Board! Follow Plain Chicken's board Super Bowl Recipes on Pinterest. Preheat oven to 350. Place cupcake liners into muffin pan. In a mixing bowl, combine cake mix, eggs, water and oil. Mix with a handheld mixer on medium speed for 2 minutes. Stir in chopped almonds, chocolate chips and almond extract. Scoop batter into liners, filling 2/3 full. Bake 18-20 minutes, or until toothpick inserted into cupcakes comes out clean. Cool completely. In a medium bowl, combine Frosting Starter and Chocolate Almond Flavor Mix. Carefully fold in whipped topping. Frost cupcakes. Refrigerate until ready to serve.